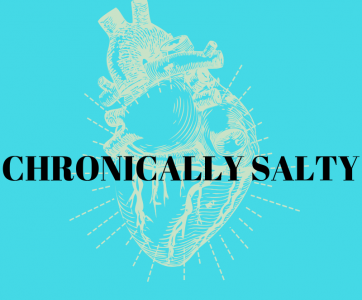 So you have been blessed with a cold on top of having Postural Orthostatic Tachycardia Syndrome, or POTS. So have I. Having a cold with a chronic illness is just… another beast. Last week, my anxiety was set on overdrive, I had to get a transvaginal ultrasound, had my Nexplanon birth control implant removed, AND got a cold all within five days of each other. My thoughts: I am extremely tired of feeling exceptionally like trash at this point. I’ve gotten used to feeling like normal trash, but this is as if the garbage man skipped my house and it’s been piling up for weeks on my lawn. Being ill with a chronic illness can be difficult in many ways. You have to readjust your meds to keep your chronic illness symptoms somewhat under control, you have to drink even MORE fluids than you thought was possible, and you have think seriously about energy conservation. But the greatest long term threat I would argue a cold has to someone who is chronically ill is deconditioning. With a chronic illnesses like Postural Orthostatic Tachycardia Syndrome, or POTS, it is so important to keep moving as much as you can. Cardiac deconditioning can happen in as little as two weeks– so all of your hard work leading up to this nasty cold can go to waste if you aren’t careful. Your sinuses will go back to normal after a head cold, but your heart muscle and blood volume won’t magically come back just because the virus you got from a toddler has been beaten by your immune system. Do NOT use decongestants (NyQuil, Sudafed, cough medicine, some antihistamines) if you have heart rate problems, blood pressure problems, or heart arrhythmias without consulting your doctor. A fellow POTsie I know took a decongestant and ended up in the ER with a heart rate of over 200 BPM at rest. And that’s with her beta blocker! If you don’t believe me, look at Reddit for some more horrifying details. Go for saline rinses, Netti pots, or steam baths. At the same time, think seriously about those herbal remedies that may interact with your heart medication. Grapefruit seed extract, chamomile, green tea, licorice root, and hawthorn, for example, can interact with blood thinners, beta blockers, calcium channel blockers, and Corlanor/ivabradine. So again, ask your doctor before you take the Whole Foods approach. Side note: most ginger herbal tea contains licorice for all you QT interaction folks on Corlanor/ivabradine. Wear your compression gear. When you are sick, your body has a harder time staying hydrated and you will have a lower blood volume. When you are more sedentary, you are also at a higher risk for blood clots, so wearing your compression is especially important when you know you won’t be moving around a lot. Watch Hulu or TV with commercials over Netflix. Why? Those commercials are excellent reminders to get up and move around. Use the commercial break to go to the bathroom, get some more water, and do some basic leg exercises. Sit up the most vertical you can while you are sick. Try not to lay flat as much as possible, it only leads to faster deconditioning. Don’t give up on cardio exercises while you are sick. Try and do basic things, whether that is walking to the kitchen to pop a meal into the microwave or getting on the recumbent bike or pedaler at home for even 2 minutes. Anything is better than nothing. Since I usually walk about 3500-5000k steps on a good day, I try and walk at least 2000k steps on a bad day. You don’t have to do it all at once either, but moving as much as you can will help you get back to baseline faster. Any recommendation regarding the flu shot? Should Pots patients receive or not? That will have to be a conversation with your doctor. It seems that many people with POTS have no issues with the flu shot and that ones with MCAS make the decision on a case by case basis.